Built as the Albert Park Coffee Palace, Biltmore was begun in 1887 to designs by architect Walter Scott Law, and was completed in 1889 by architects Frederick de Garis and Son. This 40-room stuccoed brick building was constructed for the Coffee Palace Company. It was one of a number of coffee houses constructed in Melbourne and suburbs in the 1880s as part of the temperance movement, to provide an alcohol-free alternative to the public house. 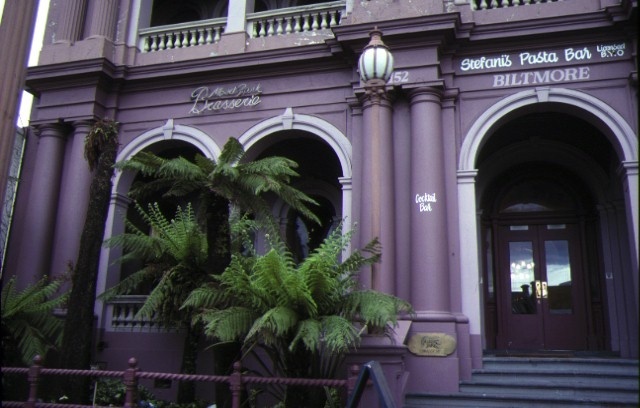 Sixty-nine Coffee Palaces, Coffee Taverns and Temperance Hotels were listed in the Melbourne Directory of 1890, including the Windsor Hotel Melbourne, (H0764), which was initially built as a hotel in 1883 and extended to become the Grand Coffee Palace by 1888; the Federal Coffee Palace, 1886 (demolished) and the Queen's Coffee Palace, Carlton, 1888 (demolished). 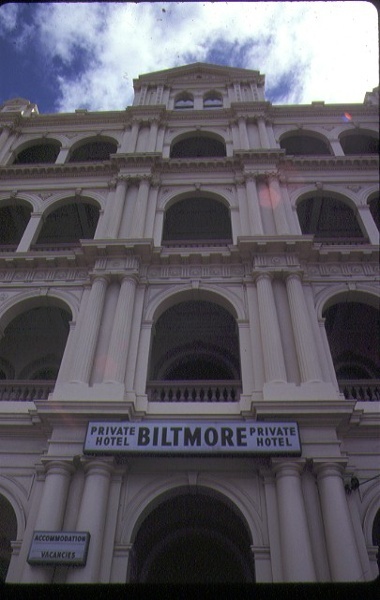 Designed in the free classical style of the later boom years in Melbourne, Biltmore is an imposing four storey facade of arcaded loggias. These loggias are divided into three bays with the central bay of one arch and the side bays of two arches. Pairs of engaged columns define these bays and employ different orders at each level from Tuscan, to Roman Doric and variations of the Corinthian above. The composition is surmounted by a balustrade and large central pediment with windows. Internally the ground floor contains a large dining room, ancillary service rooms and reception rooms. Alterations and additions were made to the building in the late 1920s with another thirty-eight bedrooms added by the architects Arthur and Hugh Peck. Becoming a private hotel in 1928, it was renamed the Biltmore Private Hotel in 1931. 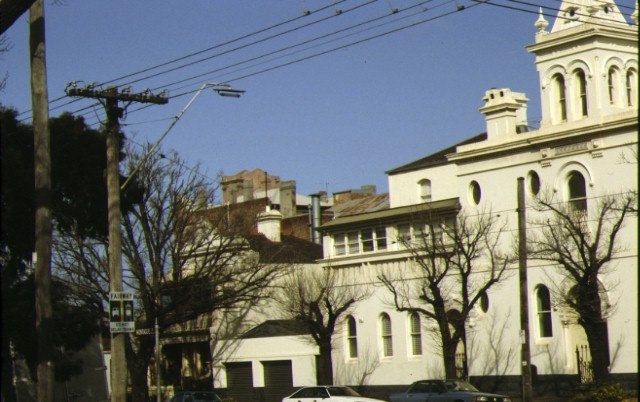 In 1950 it was sold to the Royal Melbourne Hospital, with minor alterations undertaken by Stephenson and Turner, and used as a nurses' home, before reverting back to a private hotel in 1966. 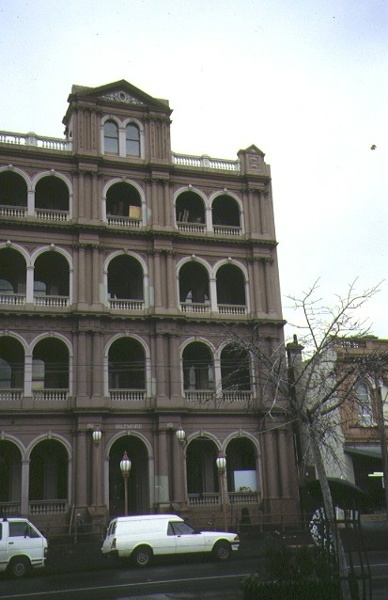 It was refurbished and subdivided into twelve apartments in the mid 1990s. Biltmore, Albert Park is of historical and architectural significance to the State of Victoria. Biltmore, Albert Park is of historical significance due to its association with the temperance movement in Victoria and as one of the last surviving examples of the grand coffee palaces which were built in Melbourne in the 1880s. Biltmore, Albert Park is of architectural significance as a fine and imposing four storey building by architect W. S. Law. 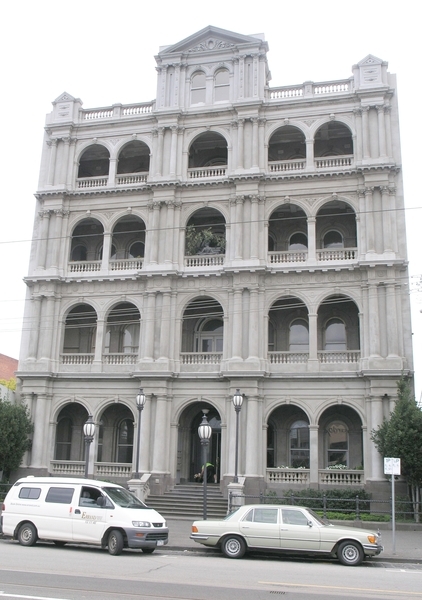 Law designed many boom style buildings in Melbourne, including Drummond Terrace, 1890-1 (H0872) and Medley Hall, Carlton, 1892 (H0409). Both facades are similar to Biltmore in their overall symmetrical, arcaded form, but are of three and two storeys respectively. Historic Building No. 475 Biltmore Private Hotel, South Melbourne (formerly the Albert Park Coffee Palace) (to the extent of the total exterior fabric of the building), 152 Bridport Street, Albert Park. The draft statement of significance and the above history were produced as part of an Online Data Upgrade Project 2007.